Traveling Circus Company | Hamid Circus, Inc.
Hamid Circus, Inc., had its genesis in the tiny town of Broumana, Lebanon, where a small boy practiced the national pastime of tumbling through the dirt streets of this Mid-Eastern community. This is how it began for George A. Hamid, Sr., co-founder, along with Robert Morton, of Hamid-Morton Circus, now Hamid Circus, Inc.
After traveling to America in 1907 with the Buffalo Bill Wild West Show, Hamid, Sr., progressed from performer to theatrical agent to circus owner. The partnership with Robert Morton resulted in a show, which eventually became one of the largest producers of sponsored circuses in the United States. Using Morton’s ability to contract with Shrine organizations and his own contacts with agents and shows all over the world, Hamid, Sr., was able to bring the very best attractions to American circus patrons. When Robert Morton passed away in 1952, ownership of the circus passed into the sole control of the Hamid family where it remains today. 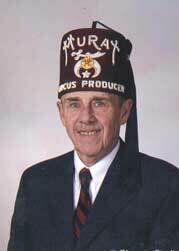 George, Sr. continued to operate the show until his death in 1971 when control passed to his sone, George A. Hamid, Jr. 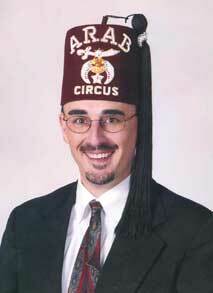 The circus became one of the varied entertainment ventures run by Hamid, Jr. In 1997, George, Jr. entered semi-retirement. Turning over day-to-day operations and producing responsibilities to his son, James M. Hamid, Sr., Hamid-Morton became Hamid Circus, Inc.
George Jr., continued to be active in the family business, consulting when needed, officially retiring in 2004 at the age of 86. Concentrating on the show’s Shrine Circus market, the show route tripled from previous years, with a second and third unit being built to handle the onslaught of new business. In 2011, James, Sr., announced his semi-retirement by handing over the keys to one of America’s foremost circuses to his son, James M. Hamid, Jr., great-grandson of the legendary circus pioneer. George A. Hamid, Sr., the late, great figure in outdoor show business, was born in the little town of Broumana, Lebanon in February 1896. His education consisted of three grades in a primitive Arab school. He learned tumbling on the dirt streets of Broumana just as American boys learned baseball on the dirt diamonds of the rural U.S. In 1907, knowing there was no future for George in Lebanon, his grandmother sent the youngster and his two cousins to join their uncle’s acrobatic troupe, then touring with the Buffalo Bill Wild West Show in Marseilles, France. The following year, he arrived in the United States. He was taught to read and write English by Annie Oakley and given his show business A B C’s by Buffalo Bill. Hamid spent his first night in America sleeping in a barn on the New Jersey State Fairgrounds and his second night under the boardwalk in Atlantic City. “As the twig grows, so grows the tree” – and nothing ever replaced Hamid’s first love – the circus. At thirteen, Hamid won the Acrobatic World Championship held in New York City’s Madison Square Garden. At seventeen, he owned his own act, and in 1920, he entered the act booking business. He developed the world’s largest agency for circus and outdoor talent that specialized in state and county fairs. He also aided in directing seven county fairs and three state fairs during the period from 1931 through 1941. During this time, he purchased the Million Dollar Pier in Atlantic City, NJ. Hamid thus became the recognized American authority on fairs, circuses and expositions. 1932 was a pivotal year for Hamid when he, along with veteran circus producer Robert Morton, combined their respective shows and formed Hamid-Morton Circus. 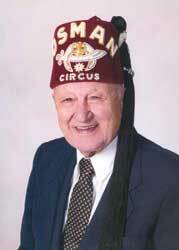 Using Morton’s ability to contract with shrine organizations, along with his endless lists of contacts and acts, Hamid-Morton quickly rose to the top echelon of American circuses. In 1936, Hamid took over control and ownership of the New Jersey State Fair and in 1945 he acquired control of Atlantic City’s famed Steel Pier – featuring the world famous High Diving Horse and outdoor circus staged one-half mile at sea. Upon the passing of Robert Morton in 1952, full ownership of the circus passed to the sole control of the Hamid family. This sawdust spectacular continues today under the guidance of Hamid’s great-grandson and is recognized as the preeminent leader in sponsored circuses. Hamid Circus, Inc., the successor to Hamid-Morton, can look back on its founder, George A. Hamid, Sr., with pride, knowing he blazed the path making it possible for it to sit atop the lofty perch it resides on today. The late George A. Hamid, Jr., long-time producer of the world-famous Hamid Circus, most often found himself in the role of the “Understander” – circus jargon for the key acrobat who stands under a human pyramid as its center of strength and the man who is literally the human foundation upon which the rest of the cast looks for support and direction. Born in 1918 to legendary showman, George A. Hamid, Sr. and his wife, Elizabeth, Hamid, Jr., was associated with all types of show business during his illustrious career, but especially the circus. In 1964, George, Jr. organized five promoters who brought the Beatles to America. The Hamid’s had the privilege of producingthe Beatles in Atlantic City and Philadelphia. 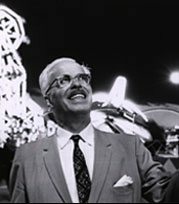 Upon the passing of Hamid, Sr. in 1971, George, Jr., took over the reins of not only the Hamid Circus but became President of the New Jersey State Fair and the Greensboro Agricultural Fair and was one of the founding fathers of the Miami Dolphins football team. His holdings also included the world famous Steel Pier in Atlantic City, many motion picture theaters, various insurance companies, racetracks, and, in his spare time, even managed a boxer, Ernie Terrell, who fought Muhammad Ali for the Heavy Weight Championship of the World. Even after passing control of the circus to his son in 1997, this Princeton-educated showman maintained an active role as a key advisor and consultant to the U.S.-based Circus Producers Association for many years. George, Jr.’s family can look back on a career full of accomplishments, content in the knowledge that he helped in preserving the American Circus as a vital part of our national heritage. James M. Hamid, Sr., a third generation circus producer, began his career working summers carrying huge tin letters used to advertise the current attractions on the electrical billboards of the world famous Steel Pier in Atlantic City, NJ. After a stint in the U.S. Army and his graduation from La Salle University in Philadelphia, Hamid returned to the family amusement businesses, this time as Director of Public Relations and Advertising for the various Hamid holdings, including the Steel Pier, New Jersey State Fair and the Greensboro Agricultural Fair. When Hamid’s grandfather, circus founder George A. Hamid, Sr., fell ill, James, Sr. was thrust into the role of Vice President and Production Manager of the big 3-ring extravaganza. Just like his father and grandfather, James, Sr. always loved the circus! James, Sr., who became Owner and Producer of Hamid Circus, Inc., in 1997 succeeding his father, is credited with having created two more traveling units resulting in the circus being able to play three cities at once. It was in this year that James also became President of the Circus Producers Associations, creating a presidency that spanned three consecutive generations. In 2013, having restructured the family business and circus operations to meet the demands of an ever changing audience, James, Sr., quietly retired. 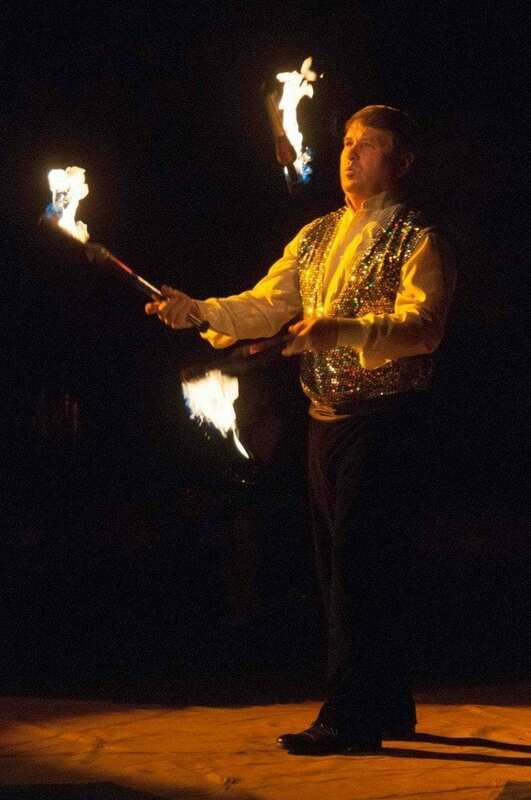 He can be proud that his lifetime of work, with the goal of entertaining children of all ages, has enabled Hamid Circus, Inc., to continue to thrive by providing the best in family entertainment. Hamid Circus, Inc.’s Owner & Producer, James M. Hamid, Jr., still fondly recalls the time as a boy when his dad would take him to visit the family circus on tour. During his high school and early college years, James, Jr., worked in all phases of the family business from circus roustabout to production manager to executive, to becoming the youngest State Fair manager in the history of the United States at age 24. James, Jr., is acutely aware of all the minute details that go into production of the two-hour family-oriented spectacular. This fourth generation showman can be seen in circus arenas everyday making sure there are plenty of circus smiles to go around. James, Jr., lives in Egg Harbor Township, NJ with his wife, Shirley, and three children Belinda, James III, and Haley. Burlington Lodge #66 F. & A.M. Send us a message or call 609-646-3340.